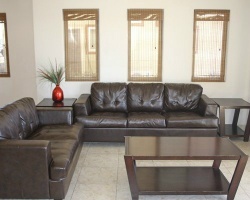 If you want tranquility with all of the amenities then look no further than *Laguna Shores Resort, Rocky Point*. 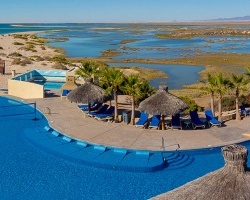 Located just 15 minutes from Puerto Penasco, a private resort with a unique location that encompasses 600-plus acres, with the Sea of Cortez to the west; a protected and pristine estuary teeming with life and azure winding waterways to the north: a view of the Pinacate Biosphere Reserve to the east; and to the south Black Mountain and a peaceful stretch of beach where many treasures can be found. 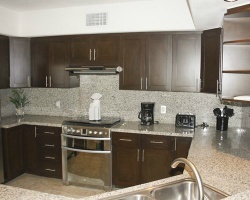 With clear skies on most nights and unrestricted views west over the Sea of Cortez showcasing breath taking sunsets. Laguna Shores is a private master planned oceanfront resort residential community who prides itself on Esthetics from underground utilities, a desalination plant to provide our own water, to a low density mixture of homes and condos. Activities, amenities and natural wonders are a part of what makes us such a great place for the family to enjoy, allowing you to escape the "real-world" for a weekend or more. Peaceful and relaxing beachfront resort with stunning views! Floating week! Inquire for details! Peaceful and relaxing private resort! Sit on the beach or adventure to the many nearby attractions! Inquire for details!